Heiko Ludwig, Global Head NORD/LB Structured Finance: "We gladly support BayWa r.e. to promote the transition to renewable energy in Italy. With the current financings we show that we accompany our customers with qualified consulting and services not only regarding a wide variety of technologies, but also across European borders." Alessandra Toschi, Managing Director of BayWa r.e. Italia Srl., underlines: "After more than 10 years of development, we are now close to the completion of the projects. 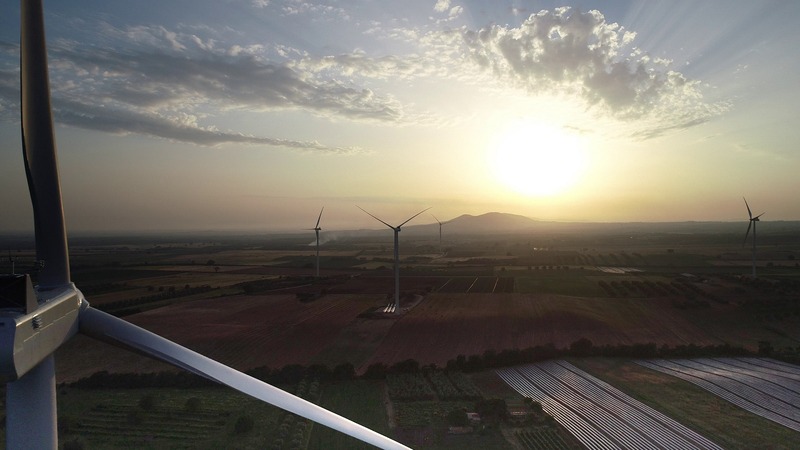 San Lupo, consisting of 16 wind turbines, is one of the most powerful wind farms in Italy, and we have been also involved in the construction of a complex grid connection. We are very pleased that with NORD/LB we found a strong partner for financing the projects." With total assets of EUR 155 billion, NORD/LB Norddeutsche Landesbank is one of Germany's leading merchant banks. Its core business segments include structured finance in the energy and infrastructure sector, ship and aircraft finance, corporate client business, commercial real estate finance, capital market business and private and commercial client business including private banking. The Bank has headquarters in Hanover, Braunschweig and Magdeburg. NORD/LB also has branches in Bremen, Oldenburg, Hamburg, Schwerin, Düsseldorf, Munich and Stuttgart. Outside Germany, NORD/LB is active in Luxembourg with a covered bond bank (NORD/LB Covered Bond Bank) and also has offices in London, New York, Singapore and Shanghai. Across solar and wind, at BayWa r.e. we r.e.think energy - how it is produced, stored and used to best effect. We are a leading global developer, service supplier, wholesaler and provider in energy solutions. We deliver renewable energy solutions worldwide; we have brought 2.4 GW of energy online, and manage 5,5 GW of assets. BayWa r.e. is a leading supplier to the solar wholesale market. We also have a rapidly growing energy trading business. As an integral part of the EUR16 billion BayWa Group, we work hard every day to find new solutions, push technological boundaries and actively shape the future of energy.